Grassy Narrows First Nation held a protest and demonstration in Toronto on Wednesday evening during a Liberal Party fundraiser to press the Trudeau government on its promise to fund a specialized mercury treatment facility in the northwestern Ontario community that's about 100 kilometres northeast of Kenora. During the event, the protester appeared to be escorted out of the room while Trudeau thanked her for her "donation." "From time to time, I'm in situations where people are expressing concerns or protesting a particular thing, and I always try to be respectful and always try to engage with them in a positive way," Trudeau told reporters in Halifax on Thursday morning. "I didn't do that last night — last night I lacked respect towards them and I apologize." In a video posted to the Council of Canadians' verified Facebook page Wednesday evening, a woman is shown standing in front of the stage where Trudeau is standing; she appears to unfurl a banner that references the prime minister and compensation for the "mercury crisis." She is heard saying "people in Grassy Narrows are suffering from mercury poisoning, you committed to addressing this crisis," while appearing to be removed from the room. Trudeau, still on the stage, is heard saying, while facing the direction in which the woman was taken out of the room, "Thank you for being here, thank you very much for your donation tonight, I really appreciate it," which draws cheers and applause from the crowd. The Grassy Narrows protest in Toronto was at the Omni King Edward Hotel, where Trudeau was scheduled to appear at a Laurier Club donor "appreciation event." The dumping also affected Wabaseemoong, another First Nation, about 100 kilometres northwest of Kenora. "The situation in Grassy Narrows is one that we have been following for quite awhile," Trudeau said Thursday. He said representatives from his office will be in touch with the office of Indigenous Services Minister Seamus O'Regan. 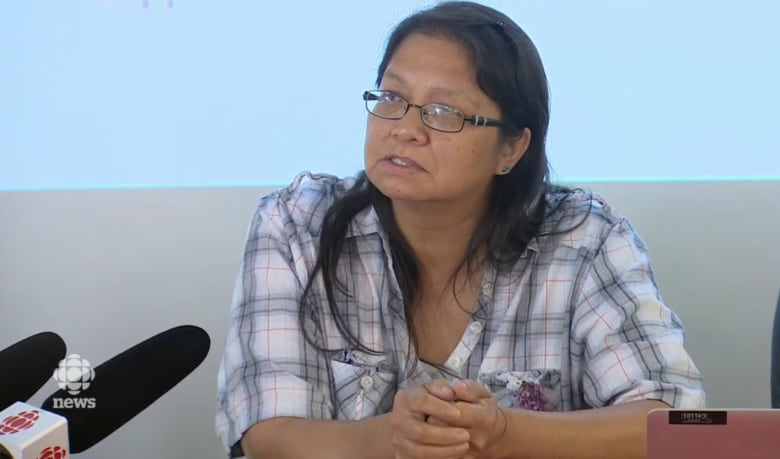 Grassy Narrows submitted a feasibility study for the treatment centre in late 2018, said the community's environmental health co-ordinator, Judy Da Silva. But the community is now waiting for Ottawa to commit to funding a detailed work plan — the next step in the project, she said. "We're really worried this promise won't be fulfilled," Da Silva said, with the 2019 federal election drawing closer. "The crunch is coming ... and we need something concrete in place ... for the mercury home to be a reality. "As we speak, our people are having to suffer in the Kenora hospital, or in Thunder Bay or in Winnipeg, and the numbers are growing," Da Silva said. "We're hoping that ... [Ottawa] will put something in place that will fulfil that promise for a mercury home and for mercury justice for our people." Da Silva said Grassy Narrows has also yet to secure a visit from Trudeau, despite chief and council requesting he come to the community. William Olscamp, a spokesperson for Indigenous Services Canada, said in an email to CBC News that the department has reviewed the mercury treatment centre's feasibility study "and is actively engaged with the community, the province and other technical experts to continue to effectively map out the required services against the technical requirements of the building. "Once the requirements have been finalized, the next steps can get underway." The elevated levels of mercury in the river that runs adjacent to Grassy Narrows also closed a once-thriving fishery in the 1970s, decimating the local economy. Community leaders have called on senior levels of government for better compensation, saying the existing Mercury Disability Board, established in the 1980s and under provincial jurisdiction, has only resulted in about six per cent of Grassy Narrows members getting any compensation. While the province has committed to indexing payouts to inflation, there's been little talk about changing the eligibility criteria. The situation in Grassy Narrows was highlighted by Amnesty International on World Water Day in March as one example in Canada of "environmental racism." "There are communities, particularly communities of colour and Indigenous peoples, who daily have to live with threats to their health and well-being from environmental contamination that would be unthinkable for so many other wealthier communities," said Craig Benjamin, Amnesty International Canada's Indigenous rights campaigner. 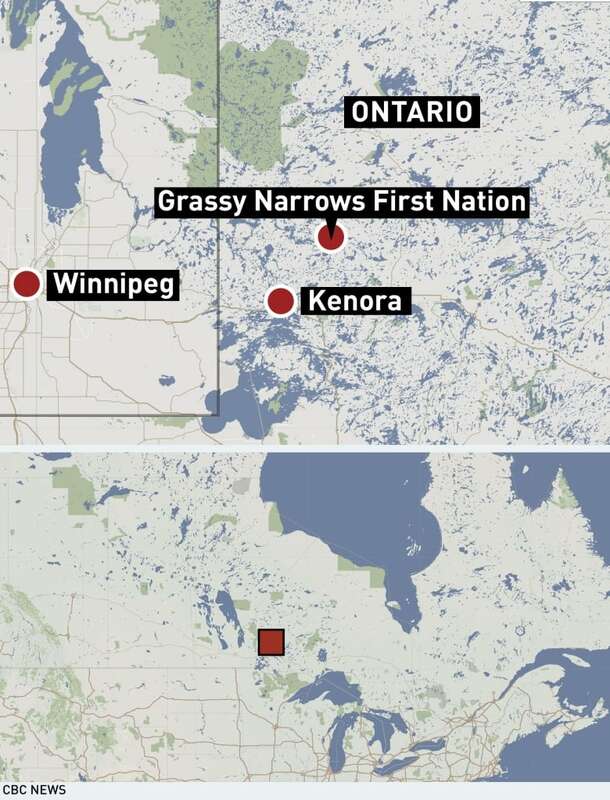 "Really, there's no clearer example of this than Grassy Narrows." Amnesty International has been working with the community for close to 20 years, he said, adding specialized health care should have been on the table years ago. "This isn't something that should be delayed." Olscamp said in his email that Indigenous Services Canada "continues to work collaboratively with the communities of Grassy Narrows First Nation, Wabaseemoong Independent Nations and provincial partners to address the specific health needs in these communities and reform the Mercury Disability Board. "The timelines for completion of the treatment facility will depend on the project requirements and the final design agreed upon by the federal and provincial project participants and the Grassy Narrows community," he added. "It is too early at this point to provide a definitive date for the project completion." Benjamin acknowledged the commitments made by both the federal and provincial governments as being much-needed positive steps that need to be adhered to. "We also have the fact that there have been these long struggles for justice that, at this point, we finally see them bearing fruit," he said. "This is the moment which really seems like — moreso than ever before — justice could be possible."